French President Emmanuel Macron has invited Saad Hariri and his family to come to France after the Lebanese prime minister’s surprise resignation earlier this month, amid allegations Saudi Arabia is holding him prisoner. Mr Hariri’s older brother meanwhile broke his silence over the premier’s shock resignation announced from Riyadh earlier this month, after speculation he was being groomed by Saudi Arabia to fill the post. Mr Hariri declined to comment further in a phone call with the AP. France, Lebanon’s onetime colonial ruler, has been trying to mediate in the crisis between Lebanon and Saudi Arabia. 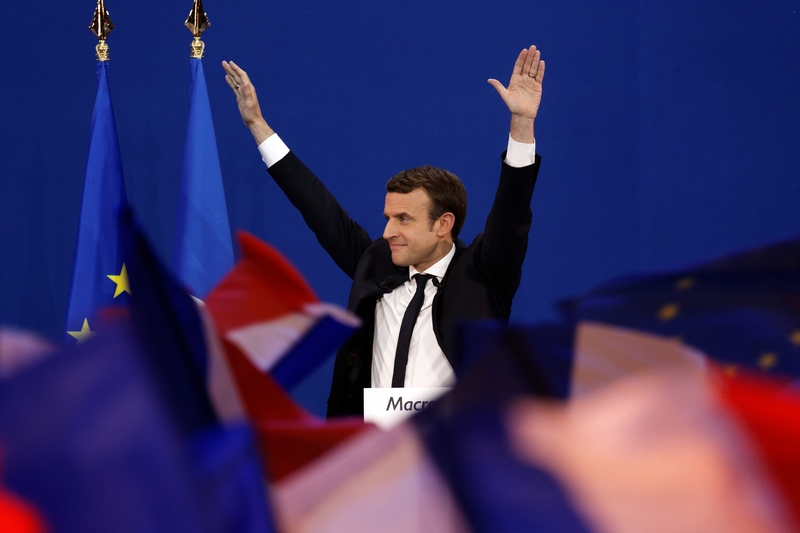 Mr Macron said he was not offering Hariri political “exile”, but it was paramount to dispel fears Saudi Arabia had taken the Lebanese premier prisoner. An official in the French president’s office, who spoke on condition of anonymity because he was not authorised to be named publicly, said Saad Hariri is expected to travel to France in the coming days with his family. Mr Macron said the invitation was extended to the premier after discussion between the two and Saudi Arabia’s Crown Prince Mohammed bin Salman. Lebanon’s president had earlier accused the Gulf kingdom of detaining Mr Hariri, calling it an act of “aggression” and asking UN Security Council nations and European governments to intervene. It was the first time Michel Aoun described Mr Hariri as a detainee since his resignation on November 4. Iranian President Hassan Rouhani meanwhile ratcheted up the rhetoric against Saudi Arabia, his country’s main regional rival, saying the kingdom pressured Saad Hariri to resign in a “rare” intervention in another nation’s affairs. Mr Rouhani also accused Saudi Arabia, without naming the kingdom, of “begging” Israel to bomb Lebanon. Hassan Nasrallah, the leader of Lebanon’s Iran-backed militant group Hezbollah, has made the same accusation. Saudi Arabia has accused Hezbollah of aiding Iran-allied rebels in Yemen, who fired a ballistic missile that was intercepted outside the Saudi capital earlier this month. Hezbollah has said Saudi Arabia forced Mr Hariri to resign in order to bring down his coalition government, which includes the group. Saad Hariri is a Saudi ally who holds dual citizenship. He announced his unexpected resignation in a pre-recorded statement broadcast on Saudi TV, in which he lashed out at Hezbollah and said he feared for his safety. “We consider him detained, arrested” in violation of international laws, Mr Aoun – who is a Hezbollah ally but is personally close to Mr Hariri – wrote on his official Twitter account. Mr Aoun said Saudi Arabia had committed a “hostile act against Lebanon,” and he had called the ambassadors of UN Security Council nations about the matter. He said Arab mediation to resolve the crisis had failed. In a quick response to Mr Aoun, Saad Hariri tweeted that he was fine and will return to Lebanon as promised. “You will see”, he wrote, without elaborating. The head of Future TV, affiliated with Mr Hariri’s party, said the prime minister is expected back before Sunday, when Arab foreign ministers meet in Cairo in an emergency session at Saudi Arabia’s urging. Riyadh is expected to discuss Iran’s rising influence in the region, as well as the Lebanon crisis. Lebanon’s Foreign Minister Gibran Bassil said in Rome that Lebanon wants to resolve Mr Hariri’s “ambiguous” condition with Saudi Arabia in a “brotherly” fashion. But Mr Bassil, who is on a European tour seeking support for his country amid the crisis, said Lebanon also has the option of resorting to international law, without elaborating. It was not immediately clear if he would attend the Arab League meeting in Cairo.